Seems like a Nokia Windows Phone will appear very soon as Nokia World draws closer. This has got to be one of the signs. 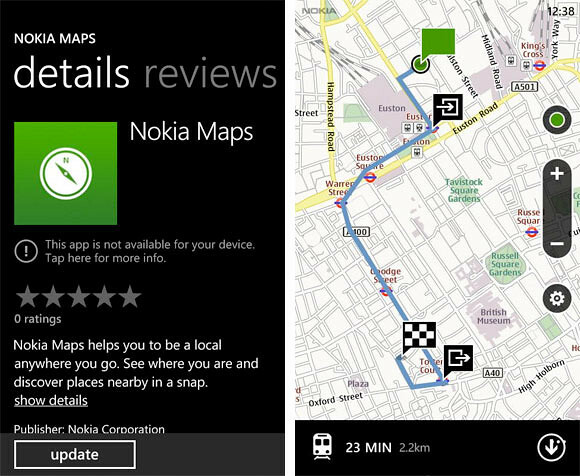 Apparently, a placeholder application for Nokia Maps has been spotted on the Windows Phone Marketplace is expected to be shipped with Nokia Windows Phone handsets soon. Since other manufacturers are running Windows Phone on some of their devices, this should also mean that Nokia softwares will soon be made available for brands other than Nokia itself, but we will have to see if this is true when Nokia announces their own version of Windows Phone. From the screenshots, we can see that the app consists of sections like user reviews, ability to submit photos and directions and more. Seems like the app supports all 22 locales now present in Mango. 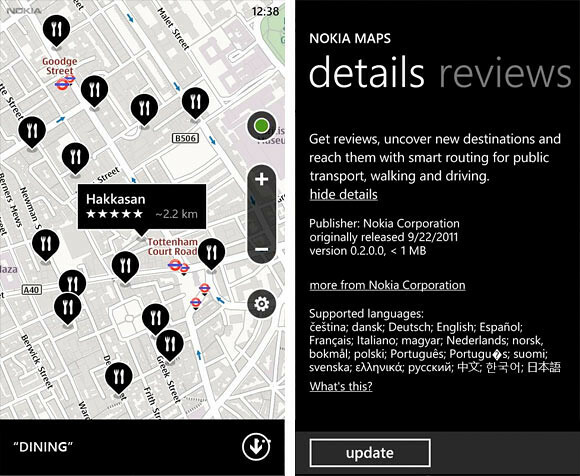 Let’s look forward to this app and more to come from Nokia!